What is Virtual Private Catalog? Follow these steps to create virtual private catalog on RMAN. C:\ rman catalog vpc_orcl/orcl@orcl <--- orcl is net service name. C:\ rman catalog vpc_test/test@test <--- test is net service name. Now you can connect to respective virtual catalog normal user for your respective databases to query recovery catalog views. 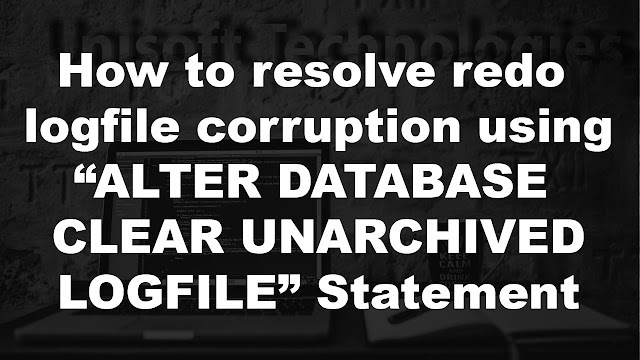 E.g vpc_test can only see RMAN meta database generated from his own test database and he will not be able to see any metadata generated by other databases registered on the catalog server i.e [DB Server 3]. C:\sqlplus vpc_test/test@test <--- test is net service name. C:\sqlplus vpc_orcl/orcl@orcl <--- orcl is net service name. 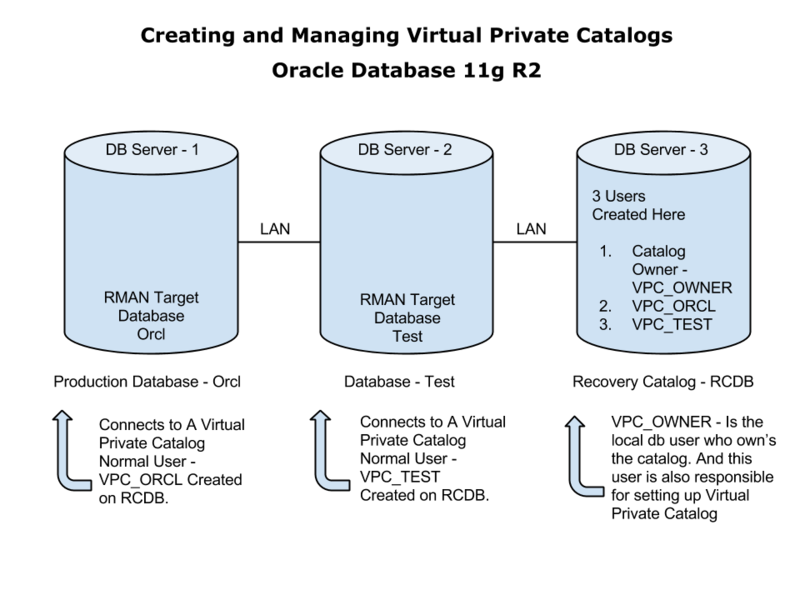 Now if you connect to recovery from vpc_owner you will be to see all the RMAN metadata generated from both orcl and test databases. You can also grant the user the ability to register new target databases in the recovery catalog. 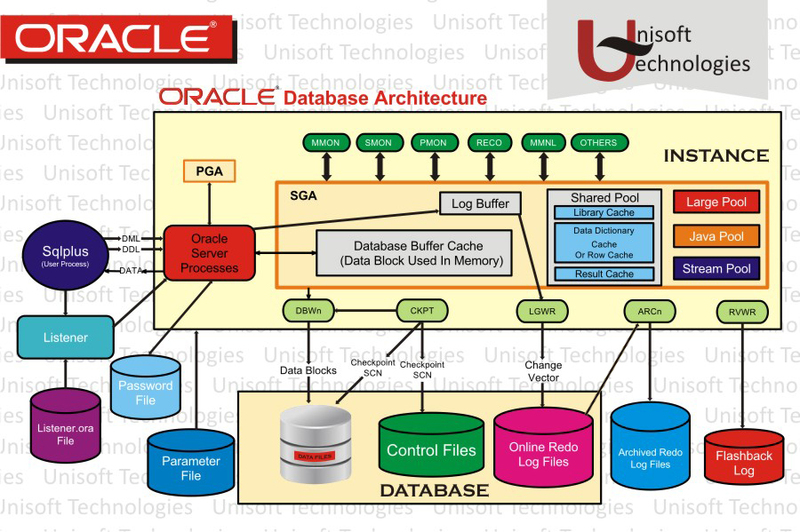 E.g :- Suppose on [DB Server 1] you have one database called orcl1 and you want to register it with your virtual private catalog then you need one more privielge granted to you. C:\ rman target sys/admin@orcl1 catalog vpc_orcl/orcl@orcl <--- orcl is net service name.